Hyaluronic acid is something we all have in our body. Babies have high amounts of it, but as we age, the level of hyluronic acid dissipates. Hyaluronic acid can be found in our joints, muscles, eyes, and skin. It is the lubrication of our body. Without it, the body becomes brittle and dry. Hyaluronic acid is a carbohydrate that occurs naturally throughout the human body. The hyaluronic acid molecule loves to bind to water, giving it the appearance of jello. That this molecule loves water so much is what makes it so good for our body. It acts as a shock absorber and lubricant to our joints, tendons, and muscles. Hyaluronic acid can be taken in oral form, injected, or applied directly to the skin. It is one of the most researched substances in medicine today. Although hyaluronic can be found anywhere in the body, around 50 percent of the hyaluronic acid is concentrated in the skin tissue. 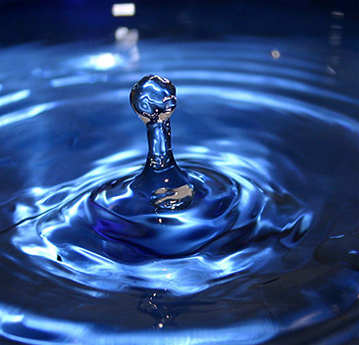 Because of its qualities and tissue friendliness, hyaluronic is used in skin care products as a great moisturizer. Hyaluronic acid has been the standard for many years as the leading ingredient to hydrate thirsty skin. Its colorless, odorless, jellylike substance absorbs into the skin quickly, leaving the skin plumper and hydrated. Dehydration is perhaps the start of many skin conditions, including irritation and sensitivity. So be on the lookout for hyaluronic acid. I highly recommend Hylunia’s Pure Hyaluronic Acid. It is pharmaceutical grade and does a fantastic job of keeping the skin glowing.